Horses are so beautiful and majestic. One day I hope to have enough land so that a family of wild horses could live peaceably and I could observe their untamed numinosity. This week on Foundational Friday the Chief Jegna of the ANU Spiritual Training class educated us on Animal totems and the relationship that man (Mem Alph Nun) shares with these majestic creatures. When an animal reveals itself to you, they are revealing their spirit. It is very difficult to generalize the meaning of the animal kingdom because the animal kingdom at large is a spirit in and of itself and then each species of animal has its own spirit. Also the meaning of each of these animals is determined by the culture you live in. Horses can on one hand mean royalty and on another signify untamed and irrational emotions. So it is important to listen what the particular animal spirit is telling you. The word totem is commonly defined as a symbol-an animal, plant or mineral-that represents a greater idea. The term originates from Twa people, the original inhabitants of Turtle Island (North American ), and comes from a word that means " my family or kinship". Therefore a totem signifies a familial connection or bond which an animal or plant represents. The original people of Central Africa, the Bambutu have a similar idea as the totem in which snakes, apes, antelopes, leopards and cheetahs are considered to be part of their family not just a projection of thought but themselves in another form. 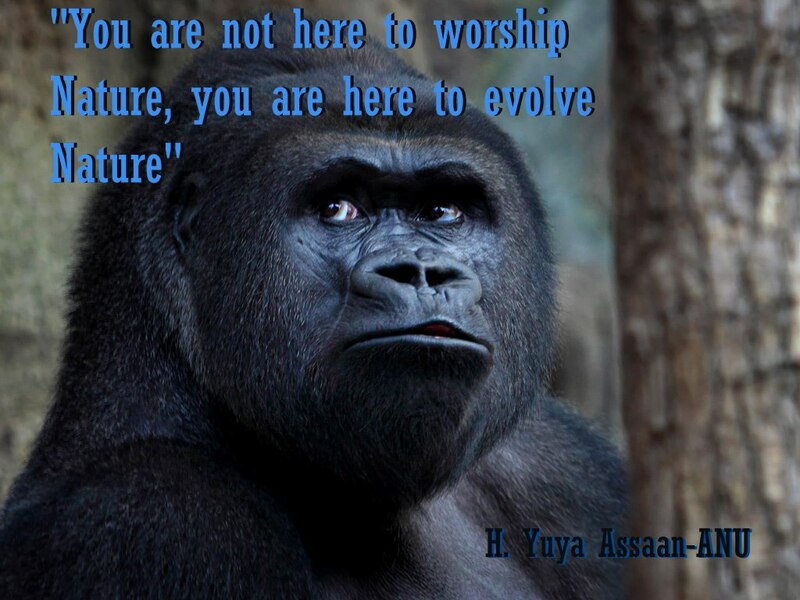 As ancient beings living in a flesh body, the spirit of the animal comes to us as a thought form to remind us of something as we move upwards on the evolutionary spiral. So that feeling I get in the middle of my chest when I ponder the utter wonder of horses could be my higher self (my ori) reminding me of the utter wonderment of my celestial home. It could also be reminding me to check my untamed and wild emotions in order to avoid unnecessary pain. As we move toward a greater understanding of self, we can then utilize all that the Supreme Being has given us in order to bring back home the best information that we can.